Take a look at the cosmetic procedures offered by Dr. Robert Pearce and his team at Pearce & Associates. Our cosmetic procedures will help to improve the appearance of your teeth quickly and effectively. General dentistry is the care you need to keep your teeth and gums clean, healthy, and strong. Cosmetic dentistry refers to a variety of dental treatments and procedures that are customized to improve the appearance of teeth and gums. 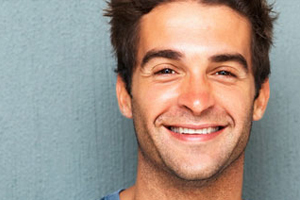 At Pearce & Associates, our cosmetic dentistry services are more than simply cosmetic. We believe that everything we do should have a positive impact on the health of your smile, as well. The cosmetic dentistry treatments offered at Pearce & Associates are completely state-of-the-art. We use superior dental materials to ensure the work we do lasts many years. If you are considering changing your smile with one of our aesthetic options, keep in mind that cosmetic dentistry can actually help you improve your bite and strengthen teeth while giving you the confident smile you have always dreamed of. Research shows that cosmetic dentistry is about more than a stunning smile! Sure, a beautiful look is great, however, the best part about cosmetic dentistry is the fact that it can improve emotional and social health. Did you know that people who smile more tend to live longer? You will certainly feel like smiling more after cosmetic dentistry from the office of Point Richmond cosmetic dentist Dr. Robert Pearce. Porcelain veneers are thin facings of tooth-colored porcelain that slip over a tooth to improve its appearance. At Pearce & Associates we use these veneers as one of the most effective ways to cover imperfections such as chips, permanent stains and even crooked teeth. As your local Point Richmond dentist, Dr. Robert Pearce will begin by removing a layer of tooth enamel so that the veneer can be more easily bonded to the tooth. Once this is completed Dr. Pearce will take impressions of your teeth and send them to a dental laboratory where the veneers are produced. At your next appointment the newly created veneers will be bonded into place. Dr. Pearce use a high quality tooth colored porcelain that is valued for both its beauty and durability. If you are searching for a practice that specializes in porcelain veneers in Point Richmond, CA, or the surrounding areas of Richmond and San Pablo, choose Dr. Pearce for the best in cosmetic dentistry. Contact our office today. Instant orthodontics is one of the newest advancements in dental technology available at Pearce & Associates, and it makes getting straight teeth a fast and easy experience. Traditional orthodontic braces have many drawbacks such as abrasions caused by metal in the mouth, the painful tightening of the braces, the length of treatment, and the visibility of the braces themselves. Today all these concerns are addressed by the option of instant orthodontics. Your Point Richmond dentist, Dr. Pearce, can use a complete set of porcelain veneers to give you a complete smile makeover. The procedure is quick, painless, and can be done entirely at our Point Richmond, CA office. On your initial visit you will have some enamel removed and impressions will be taken of your teeth. Then, when the veneers have been created, each one is bonded to its corresponding tooth. Using the veneers in this way, Dr. Pearce can reshape the profile of your teeth, making them more symmetrical, closing gaps, and covering imperfections. It is one of the easiest, most effective cosmetic procedures available. To have that perfect smile you’ve always wanted, contact our office for the highest quality instant orthodontics in Point Richmond, Richmond, or San Pablo. Cosmetic bonding can be used to restore function when teeth are broken or chipped, but it is also extensively used at Pearce & Associates for patients who want a simple way to improve their smile. Cosmetic bonding uses a composite resin material that, unlike porcelain veneers, crowns or bridges, can be applied during a single appointment. The first step when applying cosmetic bonding is to score the teeth to be treated. This helps the material bond to your natural tooth. Then your Point Richmond dentist, Dr. Pearce, will coat the surface of your tooth with the resin and apply a special light in order to set it into its permanent position. Once this is completed the procedure is finished and your newly created smile should give you a look that perfectly blends with your natural teeth. They key to these results is taking the time to match the natural tooth color, something that Dr. Pearce always take great care while performing. For more information on improving your smile with cosmetic bonding in Point Richmond, Richmond, and San Pablo, CA, contact Pearce & Associates. Point Richmond, CA dentist, Dr. Robert Pearce, uses only the newest materials that are aesthetically superior and that have been proven to be safe and strong for their patients. They can have your old fillings removed and replaced with new tooth colored ones in only one single, short appointment. There is no reason not to enjoy a new, aesthetically restored smile, so visit our office or contact us for a consultation on tooth-colored fillings in Point Richmond, Richmond, and San Pablo. If this is your situation, then visit Dr. Robert Pearce, the cosmetic dentist who can offer the easiest and most convenient teeth whitening in Point Richmond, CA. With a complete line of professional teeth whitening products that deliver professional results, Opalescence caters to your lifestyle. Whether you prefer to whiten overnight in the comfort of a custom tray, brighten your smile while you’re on the go, or get immediate results with an in-office treatment, Opalescence can help! Learn about the complete line of Opalescence products below and talk to Dr. Robert Pearce to learn how you can begin whitening with Opalescence today! Opalescence take-home whitening gel offers professional results in a customized whitening treatment you can do in the comfort of your own home. Available in a range of formulations and flavors, Opalescence take-home whitening gel is delivered via custom-made trays, further tailoring the treatment to your smile. Opalescence take-home whitening gel is available from Dr. Robert Pearce. Dispensed only by a licensed dental professional, Opalescence Go whitening comes in prefilled, disposable trays, so it’s easy to take with you anywhere you go. Opalescence Go offers a whiter smile in just 5–10 days with wear times ranging from 15–60 minutes per day. And its two delicious flavors make this professional alternative to over-the-counter tooth whitening taste great too! A 40% hydrogen peroxide power bleaching gel, Opalescence Boost whitening offers brighter, whiter teeth in less than one hour in the dental chair. This professional treatment is administered start to finish in the dental chair, so talk to your dentist to set up your appointment! The Lumibrite Chairside Whitening process is an in-office bleaching process featuring a strong hydrogen peroxide bleaching gel (35% solution) and the use of a powerful LED Activation light to enhance the gel’s effects. It is designed to deliver maximum whitening effects (10+ shades) in 60 minutes or less. It must be performed by a professional. To prevent sensitivity issues, the system also features a desensitizing enhancer. How LumiBrite whitening your teeth? The powerful Lumibrite Chairside Whitening Gel comes in at a whopping 35% hydrogen peroxide percentage. That’s about as strong as it gets in the whitening field – and that’s the major action behind the whitening. Teeth are first cleaned to remove calculus and surfaces stains, then gums are painted with a “Paint-On Dental Dam” to prevent damage to soft gum tissues. Additionally, your dentist will apply a lip moisturizer to protect soft lip surface. Next, the Lumibrite Densensitizing Enhancer is applied to teeth before application of the Whitening Gel. Once the teeth are coated, the Sapphire PAC light will be positioned at the mouth and set for 30 minutes. Your dentist will check your progress, however, every 15 minutes or so. If it’s determined you need another 30 minute session – an additional layer of Densitizing Enhancer and Whitening Gel are applied. When the whitening procedure is completed, the Paint-On Dental Dam is cleaned. When you schedule an appointment with Pearce & Associates, Point Richmond cosmetic dentist Dr. Robert Pearce will do everything he can to evaluate your needs and provide the right treatment for your situation.